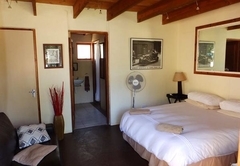 Barrydale Backpackers is a providing accommodation in Barrydale in 3 guest rooms for tourists visiting the Cape Overberg region. 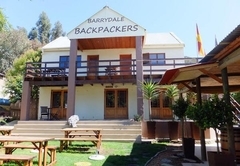 Barrydale Backpackers offers quality and affordable accommodation and is an ideal stop for guests looking to explore Route 62. 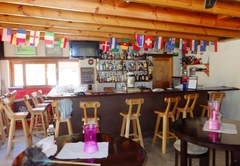 The establishment has a fully licensed bar and restaurant as well as a swimming pool to cool off in on summer days. 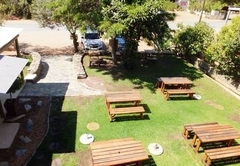 Our backpacker accommodation at Barrydale Backpackers ranges from private bedrooms to quality backpacker lodging. Each room has a private bathroom and a coffee / tea station. Bed linen and towels are provided. The room is furnished with two bunk beds and two single beds. There is a bathroom with a shower as well as a kitchenette with a fridge, coffee and tea making facilities. The room has a double bed and two single beds. The bathroom has a shower and there is a kitchenette. 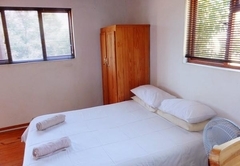 The bedroom is furnished with a double bed and has a bathroom with a shower, toilet and basin. The room opens out onto a patio with picnic benches. 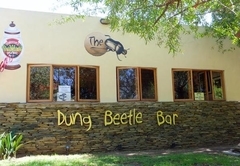 Breakfast and dinner can be enjoyed at the Dung Beetle pub and restaurant. 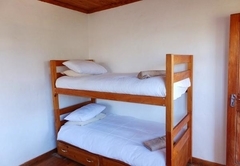 The 6-Sleeper Room comprises 2 bunk beds, 2 single beds and a bathroom fitted with a shower, toilet and basin. This room features a kitchenette with a fridge, coffee and tea making facilities. Bedding and towels are supplied for guests' convenience. 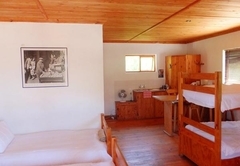 The 4-Sleeper Room comprises a double bed, 2 single beds and a bathroom fitted with a shower, toilet and basin. This room features a kitchenette with coffee- and tea-making facilities. Bedding and towels are supplied for guests' convenience. 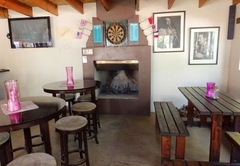 Response timeBarrydale Backpackers typically responds to requests in 5-10 minutes.